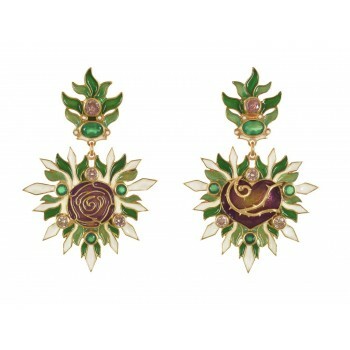 Earrings with green agate and rose zircon. Made with enamel in cloisonné technique, with green agate and rose zircon. Earrings with amethyst, rose zircon and iolite. Earrings with rose zircon and pearl. Earrings with white topaz and pearl.